LGIS are continually developing resources to assist our members to improve their safety. The Take 5 handbook is a tool to encourage your workers to stop and think about the job they are about to do to ensure they can do it safely. Whether working in the depot, in the recreation centre or out on the road, the Take 5 is a great way to reinforce the importance of safety for each and every job. To get your complimentary take 5 handbooks, contact a member of our OSH Team on 08 9483 8888. The use of safe work method statements is gaining popularity across local government, both for high risk construction work and for undertaking assessments of other work activities. 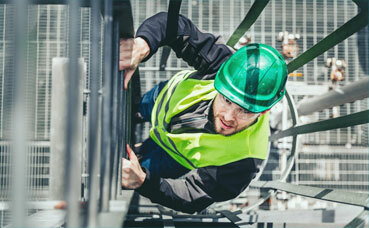 Safe work method statements are required to be completed for all high risk construction work activities. High risk construction work activities are those listed in Part 3.137 of the Occupational Safety and Health Regulations, 1996. Prior to starting work, first complete a pre-start meeting meeting checklist​. The outcome of this checklist should inform your safe work method statement. LGIS has developed safe work method books to assist you to complete your pre-start meeting checklists and safe work method statements. To order hardcopy books, contact a member of our OSH Team on 08 9483 8888. Displaying OSH ensures your workers have the necessary information to allow them to work safely and efficiently. LGIS has developed Safety Boards that when installed allow you to promote your safety information and ensure it is readily available and accessible to your workers. With interchangeable clips and sleeves, using a safety board will ensure you provide the right information, at the right time, in the right way. To order your Safety Board, please complete the order form (pdf) and send it to the OSH Team. In addition to managing the safety and wellbeing of your workers, most local governments are also supported by volunteers in areas such as meals on wheels, visitor centres, bushfire brigades just to name a few. Volunteers are an integral part of the WA Local Government sector and effective management of them are essential to maintaining a stable volunteer program. To find out more about how you can support and manage your volunteers effectively, please download a copy of our A Guide to Managing Volunteers in Western Australia Local Government(pdf)​.